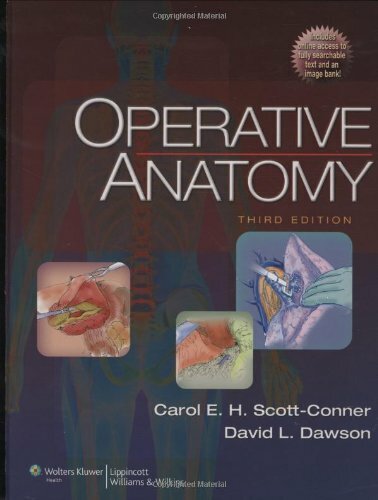 Featuring over 750 full-color illustrations, this text gives surgeons a thorough working knowledge of anatomy as seen during specific operative procedures. The book is organized regionally and covers 111 open and laparoscopic procedures in every part of the body. For each procedure, the text presents anatomic and technical points, operative safeguards, and potential errors. Illustrations depict the topographic and regional anatomy visualized throughout each operation. This edition has an expanded thoracoscopy chapter and new chapters on oncoplastic techniques; subxiphoid pericardial window; pectus excavatum/carinatum procedures; open and laparoscopic pyloromyotomy; and laparoscopic adjustable gastric banding. A companion Website will offer the fully searchable text and an image bank.